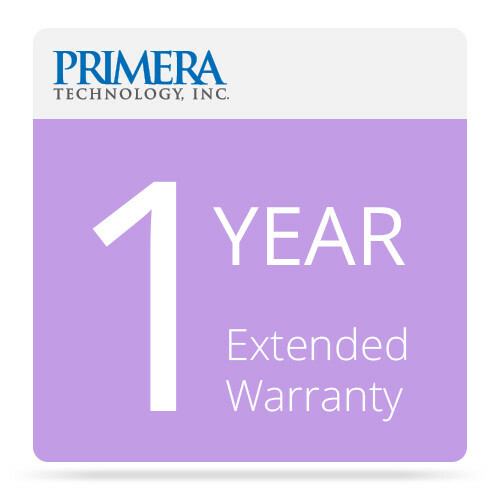 The 1-Year Extended Warranty for Inscripta Thermal CD Printer from Primera doubles the length of the standard manufacturer's warranty. In order to take advantage of this warranty you must purchase it within 30 days of product purchase. You shouldn't take chances with crucial equipment; this extended warranty will help ensure that your Inscripta Thermal CD Printer functions properly for a full 2 years after purchase. By adding an additional year to Primera's included warranty, you can be secure the knowledge that that Primera guarantees repairs, hardware replacement, and return shipping should your product fail during the coverage period.